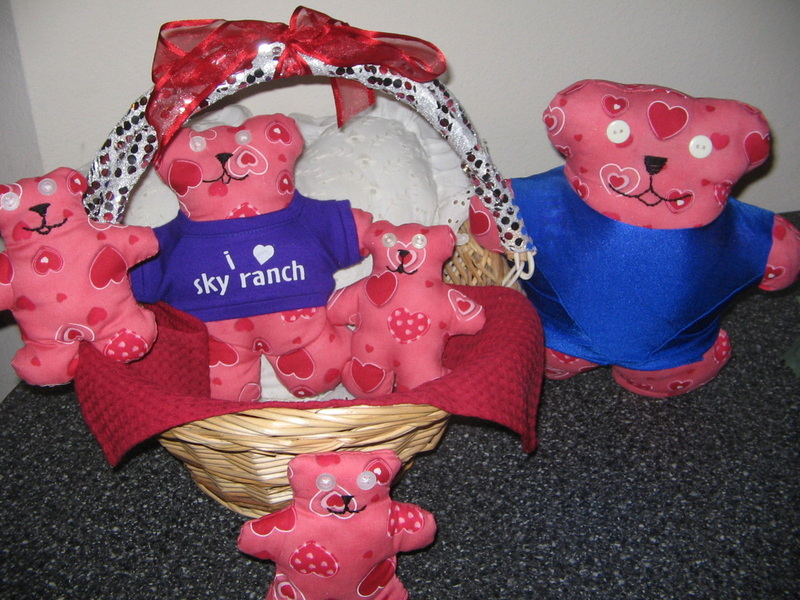 These cute bears were made by my daughter by stuffing cotton. Trace the outline of a bear on a cloth that has been doubled. Then make small stitches along the sides(the stitches should be on backside of both pieces of cloth) leaving a small portion at the waist open for stuffing cotton. Reverse it inside out. Push cotton inside with help of fingers or pencil till it reaches the end of hands & ears. Close the open part of waist when done. Stitch 2 buttons for eyes. Draw a mouth & embroider it with simple stitches. Dress him/her in old or new doll clothes; you may either make them with left over cloth pieces or buy from craft stores etc. The dress shown below is home-made stitched by my girl. 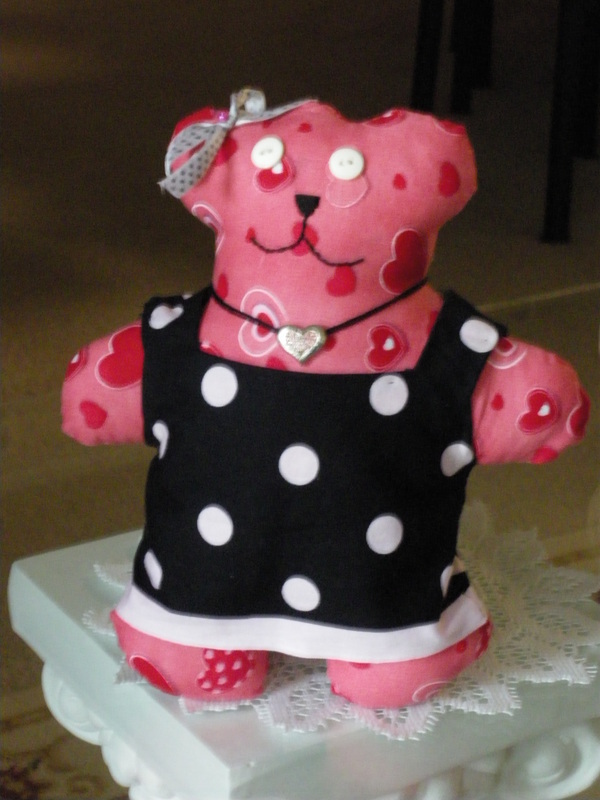 Friends if you have made any stuffed animal or any other thing, do share with us by posting it in comments at end of this post.